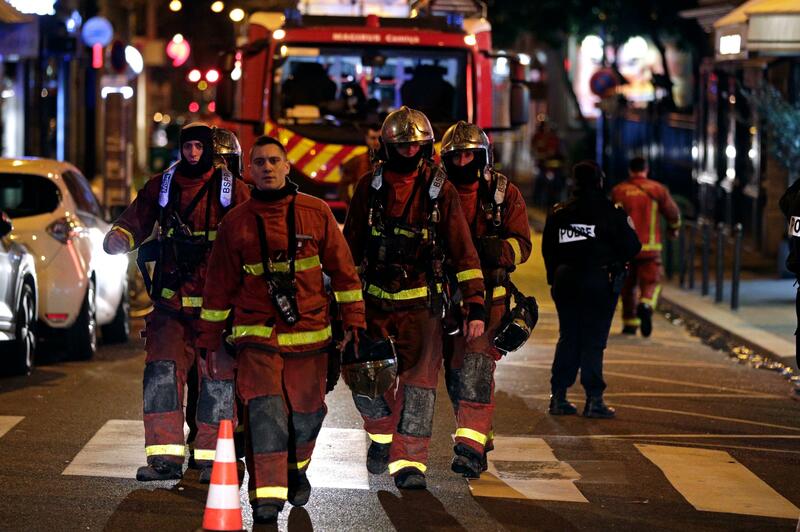 A woman was arrested after an apartment fire killed eight people and injured almost 30, including three firefighters, in western Paris. Officials said they are treating the fire as a possible arson attack and that the woman was detained by the police. Remy Heitz, prosecutor for the Republic of Paris confirmed that the 41-year-old woman was a resident of the building and she suffered from psychiatric issues. After an investigation was opened, the case was handed over to the first district of the judicial police. The fire started around 1 a.m. local time Tuesday (7 p.m. EST Monday) in Paris’ 16th arrondissement and consumed the top two floors of the eight-story building. According to fire service spokesman Clement Cognon, the fire was brought under control by 6 a.m.
More than two dozen people climbed on the roof of the building out of the windows to escape the fire. Firefighters rescued more than 50 people from the rooftop using ladders. “We had to carry out many rescues, including some people who had taken refuge on the roofs,” Cognon said. By 3:30 a.m. firefighters had evacuated the entire block on Rue Erlanger as well as the buildings in the surrounding areas. However, they continued to battle the flames. More than 200 firefighters were present at the scene, trying to put out the fire out and treating the injured. Though the fire was brought under control, the death toll might increase, said Cognon. The fire took place in one of the most famous tourist destinations of the city and is close to the stadium that hosts the French Open tennis tournaments and also to Bois de Boulonge Park. Police and firefighters blocked the entire street and town hall officials were also present on the site trying to find overnight relocation services of the evacuated people. Parisian authorities closed the district of Auteuil completely after the fire completely destroyed the housing complex.